- customised design making brands attractive & secure. We are offering to our clients, Roll to Roll Stickers, which are manufactured using quality raw material and advanced technology. These waterproof stickers are widely appreciated for their high adhesion and high printing clarity features. The features are : • Waterproof. 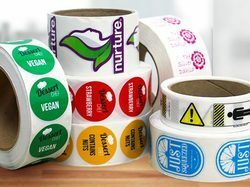 We are a unique entity in the industry, actively committed towards offering an optimum quality range of Sticker Roll. We offer Roll Form Sticker. We are the manufacturers PVC labels, CROMO Labels, CLEAR Transperant Labels with gold foiling and silver foiling. we can supply these Lables in sheet form as well as in gold form. . Available in various sizes and shapes, these are available as per the specifications of our clients; at most reasonable prices. Label India offered Label rolls which are manufactured with great perfection with the help of latest machinery & finest material. Our customers can purchase the whole gamut of Label Rolls from us in various specifications as per their demand. 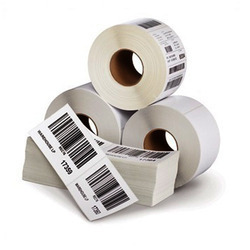 Our customers can avail these label Rolls from us at pocket friendly rates.